Extra! Extra! Read all about it! Something exciting happened around here last week! 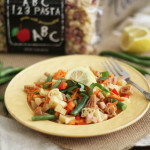 Our Italian Inspired Petite Pumpkin Pasta (Zucchettes), was featured in the NY Times Dining section! The long time influential food critic and writer, Florence Fabricant, had an assistant call our office and inquire about the pasta. Immediately our hearts began to pound, as we were not sure what to expect. 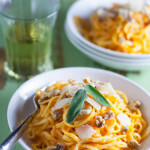 Happily it was a flattering mention, and you can see our pasta featured here in my Healthy Beef Ragu with Mint recipe. 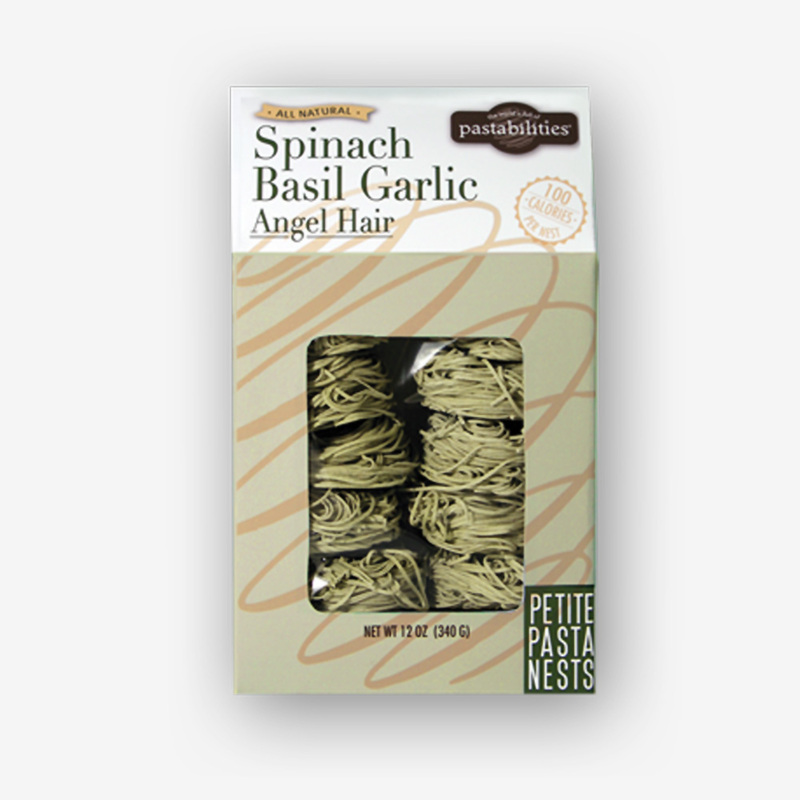 This is the second time Ms. Fabricant has mentioned our specialty pasta. 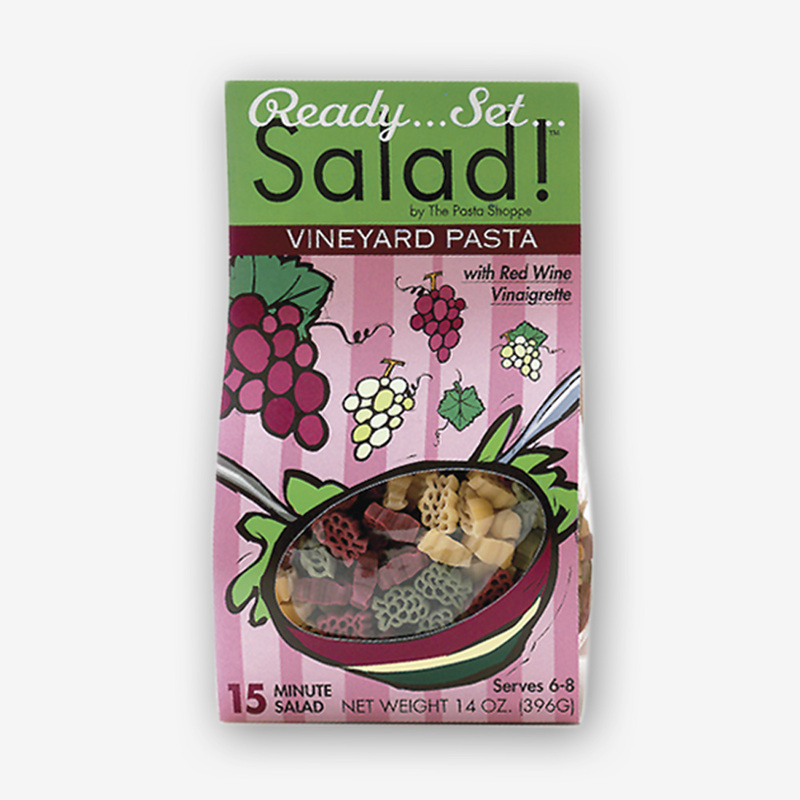 The first time was back in the late 90’s when we introduced our first few Collegiate Pasta Salads, with pasta shaped like collegiate mascots and logos. We had recently moved from NYC to Nashville to start our company…so this was big news as we felt like things were coming full circle! 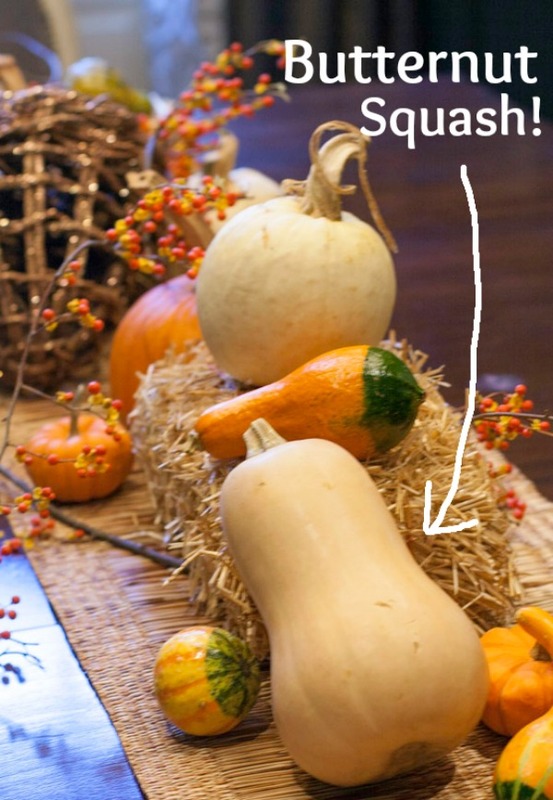 So what do you do with butternut squash? Simply diced and roasted with olive oil and salt is delicious. Puréed into a hearty, warm soup is another common use. Here we will add some fresh kale and make a healthy filling for baked cannelloni. 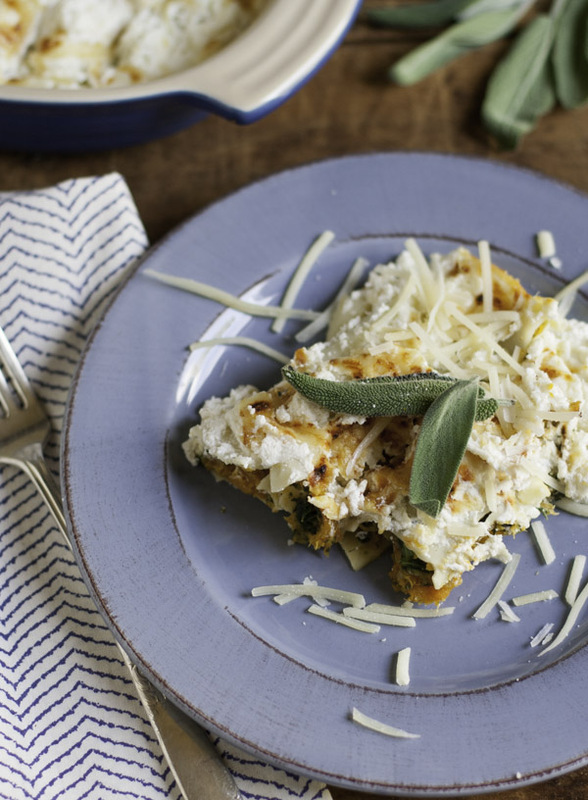 Roasted butternut squash and kale cannelloni is a creamy, sweet, and satisfying dinner. It may seem a little challenging to put together, but really it can be fun and quite simple! First of all, butternut squash is just difficult to cut. I’ve given up and always buy it precut and diced in packages. It may cost a little more, but it saves tons of time, and possibly a few fingers. Roasting the squash brings out its natural sweetness and combining it with some blanched, chopped kale adds a pop of color to the filling and also sneaks some additional healthiness into the dish. Cannelloni is handmade tube of pasta that can be filled delicious combinations. This is different than manicotti, another Italian favorite, which is already formed in a tube shape, and can be found in a box at the grocery store. 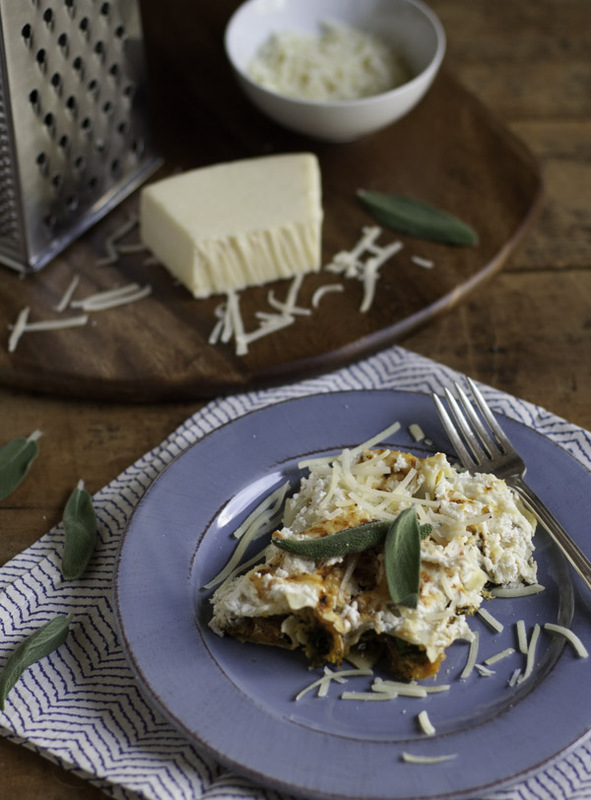 For the cannelloni itself, you use flat, wide, rectangular lasagna noodles. I used the “no cook” noodles, and just soaked them in hot water for about 10 minutes until they were pliable. If you actual cook them in boiling water, they will fall apart! You place about 2-3 tablespoons of filling on the noodle and fold over to form the tube shape. 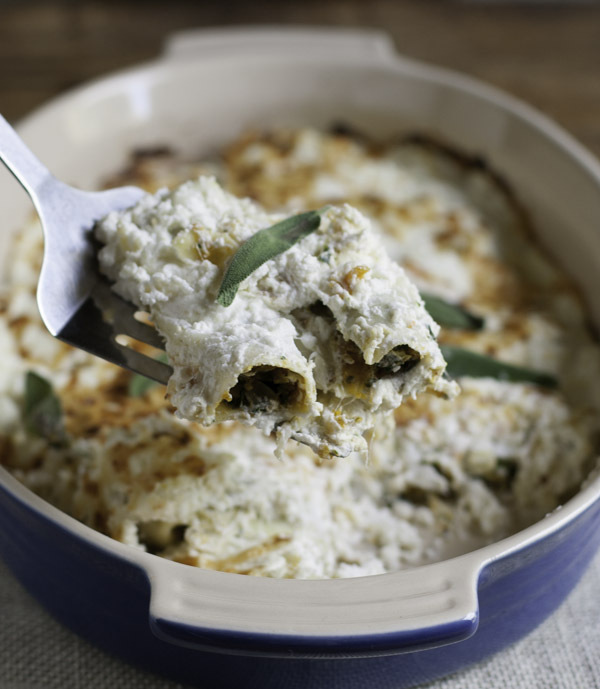 Place the cannelloni seam side down in a baking dish and then spread your ricotta topping over all the noodles… and bake! 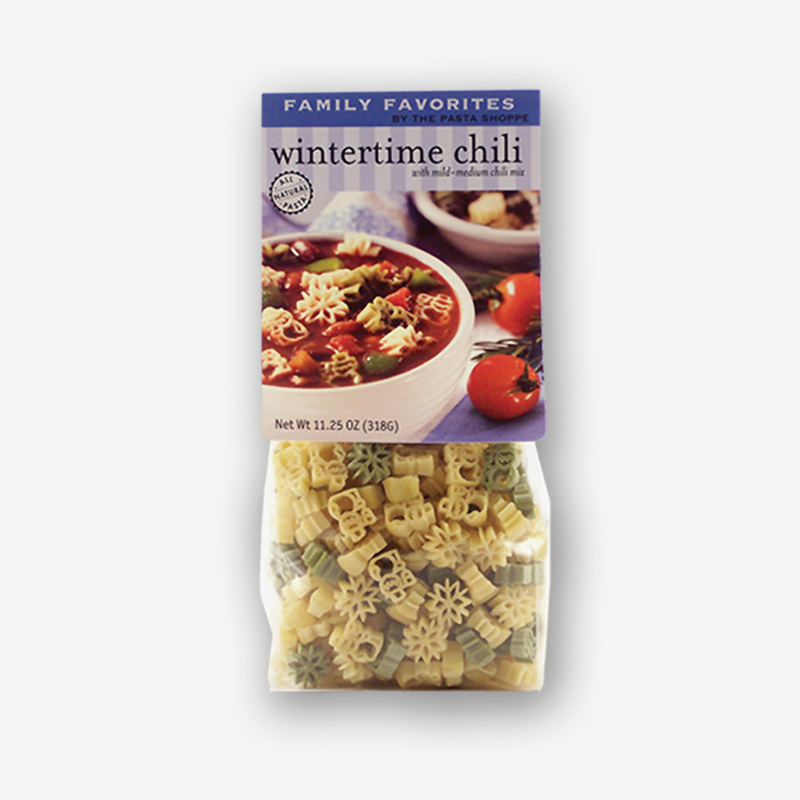 We obviously love all kinds of pasta. 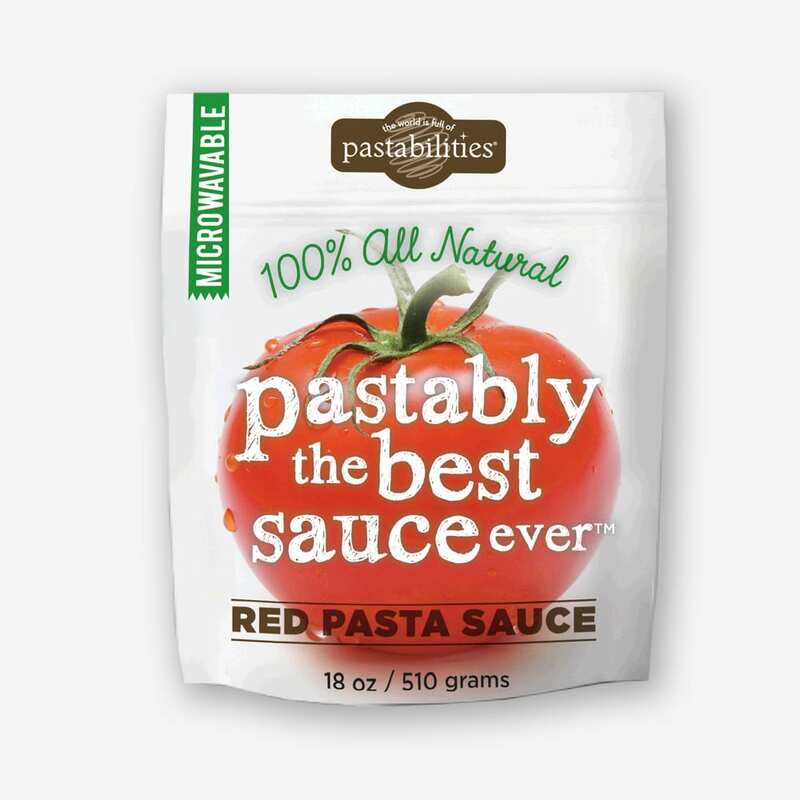 But if you are interested in seeing what we manufacture and sell at The Pasta Shoppe, we’d love for you to browse our site. 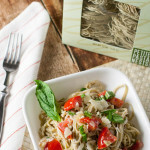 And if fundraising is on your horizon, our Fun Pasta Fundraising is a unique and healthy way for your group to raise money! Comfort food at its best. 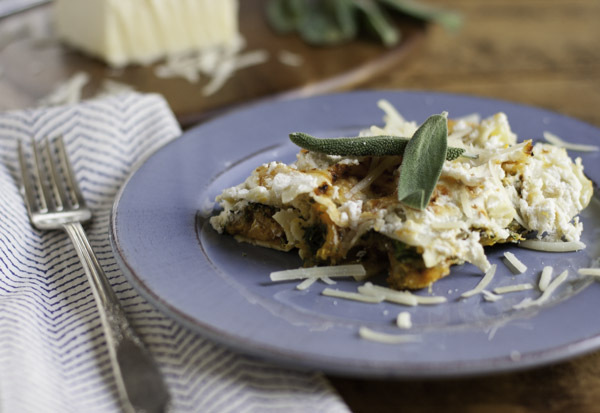 A colorful, sweet, and healthy filling topped with a combo of cheeses makes the family happy! Preheat oven to 400 degrees. Toss squash in a little bit of olive oil and roast for approx. 25-35 minutes until tender. Then reduce oven tempurature to 350 degrees for baking casserole later. Soak lasagna noodles in hot water for 10 minutes (if no cook noodles), and transfer to a lightly oiled cookie sheet. While squash is roasting, blanch kale in boiling water for 5 minutes, drain, cool, squeeze, and chop finely. In a small pan, add 1 T. olive oil and saute shallots under transparent, approx. 3-5 minues. In large bowl, combine squash, shallots, sage, nutmeg, and 2 T. milk. Mash with a fork until smooth and season with salt and pepper. Place approximately 3 tablespoons mixture across the middle of each lasagna noodle, and fold into a tube shape. Place seam side down in a 2 quart casserole dish. 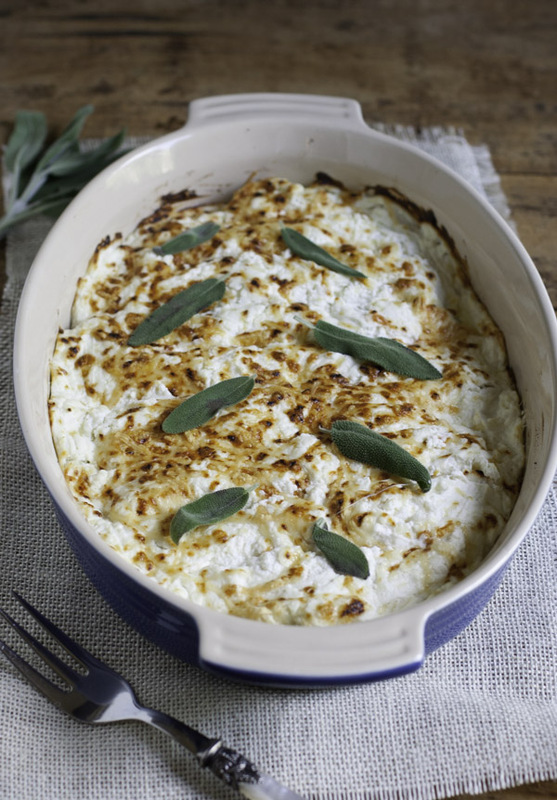 In a bowl, combine the ricotta, Parmesan, and Asiago cheeses. Add ¼ cup milk and season with salt and pepper. Spread cheese mixture over the cannelloni noodles. Bake for approximatley 25 minutes or until heated through. For a browned top, broil for 2-3 additional minutes! Garnish with fresh sage leaves. Serve and enjoy! Um…wow…this looks AMAZING!!! Can I come to you, eat some of this, and chat blog stuff?! Beautiful pictures as always and it looks SOOOOO good! And bravo on the NYT mention, that is so cool! Cannot remember the last time I had cannelloni.. thanks for reminding me how delicious it is, I definitely need to make the recipe! Thanks Thalia! It is one of those dishes that isn’t everyday…so it’s special when someone makes it! I hope you like it! Congrats on the NY TImes mention! How exciting! Thanks Kathy! It was exciting for us! And perfect timing since I had just used the Petite Pumpkins in my Healthy Beef Ragu with Mint recipe! !